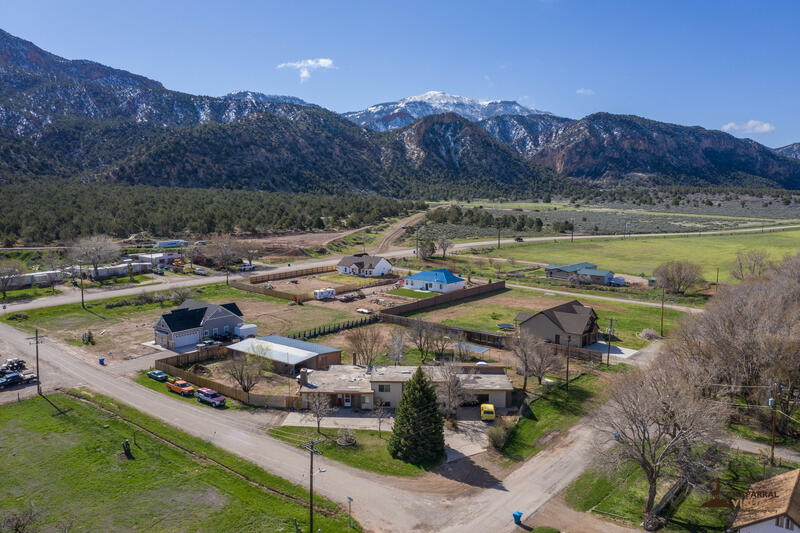 All Kanarraville homes currently listed for sale in Kanarraville as of 04/22/2019 are shown below. You can change the search criteria at any time by pressing the 'Change Search' button below. If you have any questions or you would like more information about any Kanarraville homes for sale or other Kanarraville real estate, please contact us and one of our knowledgeable Kanarraville REALTORS® would be pleased to assist you. "This beautiful custom home has an open floor plan with plenty of room for entertaining, family reunions, etc. There is a spacious garden with fruit trees and a large green house. House has upstairs balcony with access from inside & out, with lots of grassy yard space. 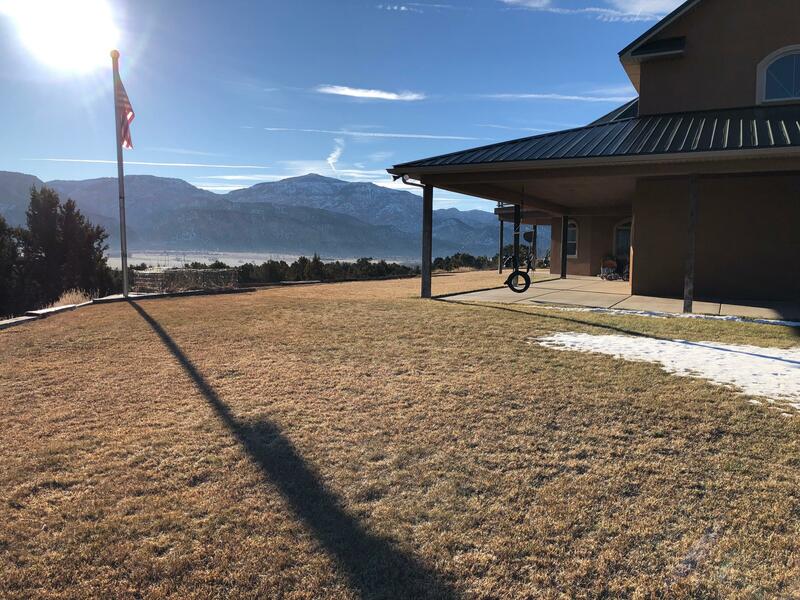 Whole 20 acres has been fenced, wonderful wildlife going through daily, and spectacular views of the valley & mountains." "Beautiful Brick Home on 22 acres. Main level is 2400sq ft. 2400sq Ft basement that is not finished Private well with 1 Acre ft. water. 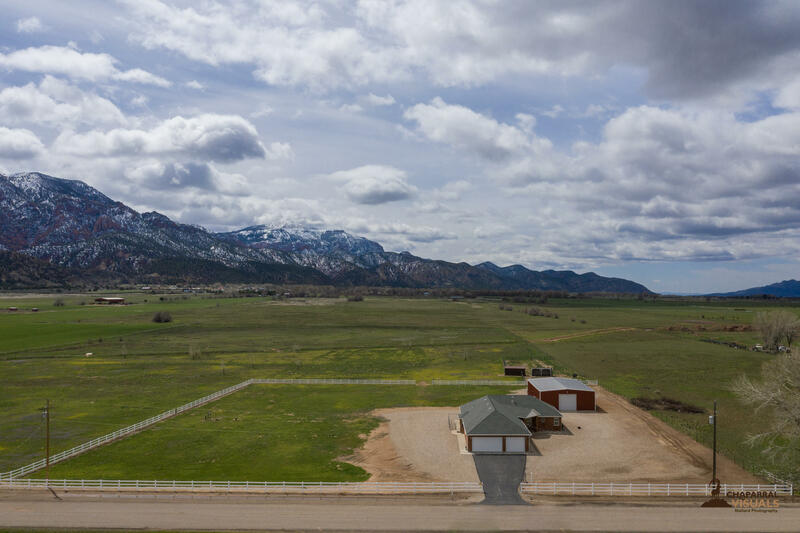 19 Acres of fully fenced pasture. 40x60 fully insulated shop with drive through doors and concrete floor. Horse corral/ shelters. Driveway is paved to the 3 car garage. Also 60 Shares of Kanarra Irrigation Water to water pasture available." "Located in the quiet little town of Kanarraville! This house has plenty of room for everyone with just over 4,000 sq. ft. Located on a corner lot and sits on almost a full acre. Horse Barn with stalls, fruit trees and a chicken coop. A lot of upgrades inside the home including a furnace and water heater in the last couple of years. Its a must see for someone with animals who wants some room"